Whether you want to do something together on your family holidays as a family or have the children entertained while you do something special yourselves, Atlantica Oasis has all the options covered. You can all enjoy the fun and excitement of the pool, indulge yourselves in the spa or work out in the gym; this hotel can offer everything for everybody. 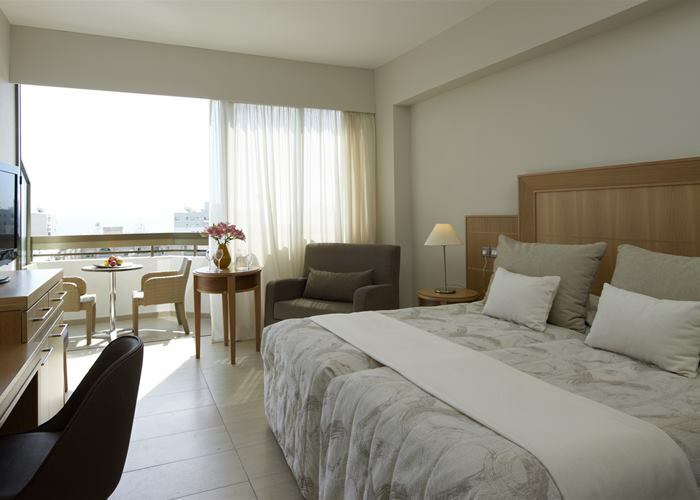 Located in the heart of the tourist area of Limassol and just couple of minutes away from the beach, the hotel has all the ingredients for a perfect holiday. 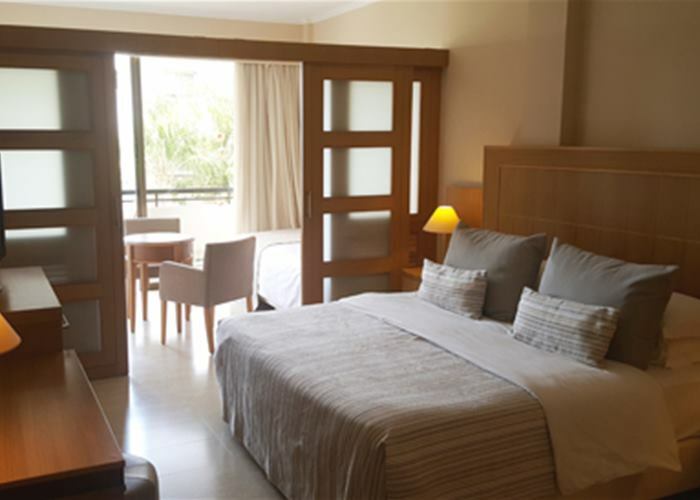 These modern yet comfortable rooms sleep up to 3 people with a double or twin beds and an extra bed on request. There’s ample space for holiday living and a balcony with either inland or pool view. 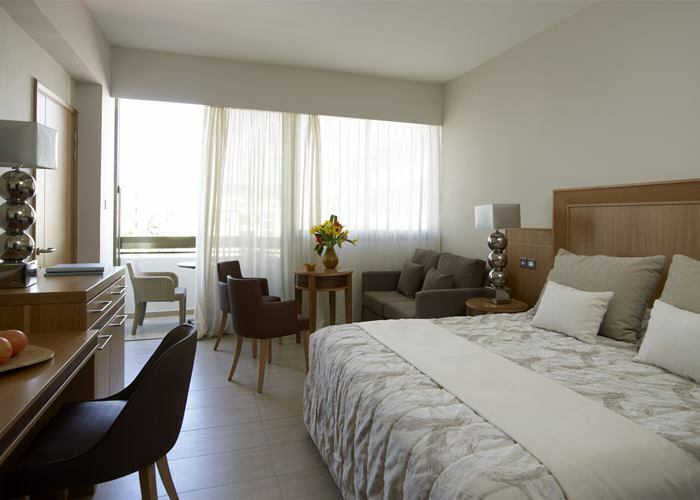 Each room includes essentials like mini fridge, LCD TV and air-conditioning operating from May to October. These rooms combine practical family space along with relaxing comfort for both adults and children. 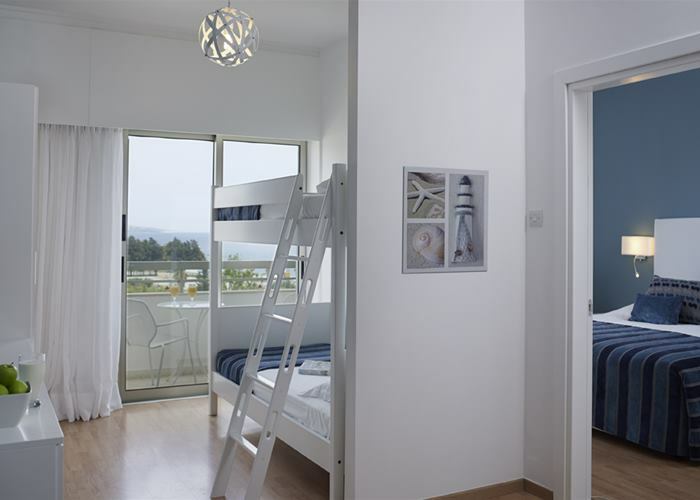 They sleep up to 4 people made up of one double bed and two single beds in an area with sliding partition. There’s a balcony to enjoy some fresh air plus you’ll find all the holiday essentials like mini fridge, LCD TV and air-conditioning operating from May to October. These stylish suites are great for families that enjoy some privacy. Sleeping up to 4 people the main bedroom has a double bed and the second has bunk beds for the kids. There’s a balcony to enjoy some fresh air plus you’ll find all the holiday essentials like mini fridge, LCD TV and air-conditioning operating from May to October. Decorated with neutral tones these family rooms have a homely feel and sleep up to 4 people with a double bed plus a double sofa bed that’s ideal for two children under 12. The furnished balcony has an inland or pool view and you’ll find all the holiday essentials like mini fridge, LCD TV and air-conditioning operating from May to October. Space is key here and there’s definitely a superior feel when it comes to the décor. Sleeping up to 4 people there is a king sized bed and a double sofa bed on the opposite side of the sliding partition. A welcome of fruits and wine awaits your arrival and all the holiday essentials like mini fridge, LCD TV and air-conditioning operating from May to October are included.